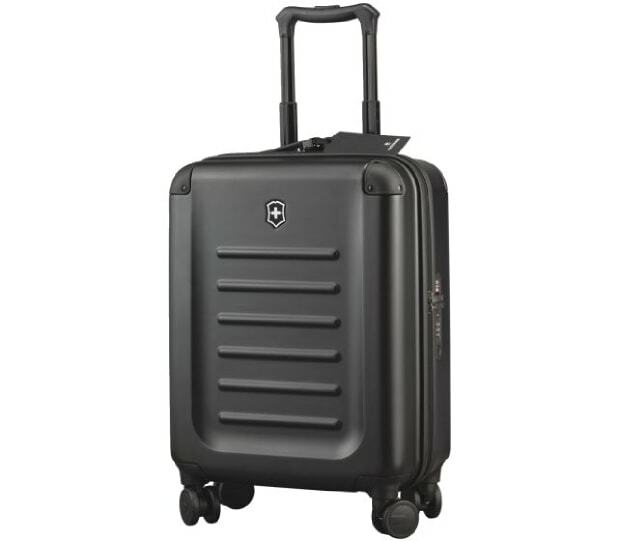 If you’re looking for a durable, reliable, and—most important of all—easily maneuverable piece of luggage for your upcoming trip, you would do well to consider the Victorinox Swiss Army line. These suitcases are built to last, with efficient designs that make them a solid fit for just about any type of journey. We’re here to help you determine which one might be right for you. In case you’re not sure what sets one product apart from the rest when it comes to wheeled luggage, we’ve compiled an easy-to-follow list of things to look for when you’re narrowing down your options. For an in-depth look at some of the top models on the current market, see our Product Review Guide. When it comes to choosing the right suitcase, personal taste plays a large role. Some of these criteria can be adjusted based on your needs and experience. 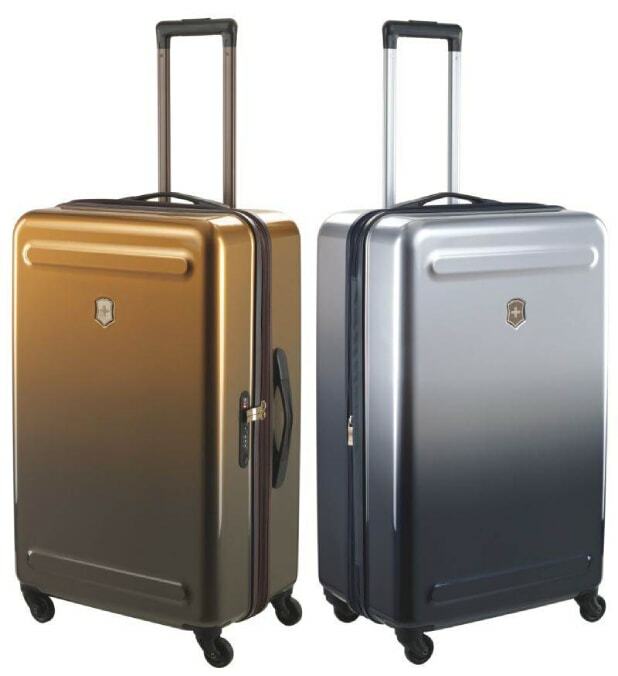 The number of wheels—Some wheeled suitcases will have four wheels, while others will have only two. The four-wheeled models can be rolled from side to side as well as back and forth, which makes them a good choice for crowded streets or busy airline terminals. The two-wheeled versions, however, are easier to navigate on rough or uneven terrain. Wheel stability—While we’re on the subject of the wheels themselves, these should be firmly attached and roll smoothly, without sticking. Zipper quality—Look for a chain zipper, which features two sets of metal teeth that lock together, making the luggage harder to break into. A coil zipper, by contrast, can be split open easily and is more prone to breakage. Hard- or soft-side—Soft fabric will be more forgiving if you’re trying to stuff in that last souvenir, but hard-sided luggage can take more punishment on the road. Consider which is more important before making your choice. Victorinox chain zippers are generally high-quality, and this one doesn’t disappoint. This durable pack weighs in at 6.2 pounds, making it a good fit if you’ll be spending a good deal of time traveling from place to place (especially on foot). The three-stop adjustable handle allows the suitcase to fit easily into tight spaces. If you give this one a try, you might be surprised at how roomy it is inside. 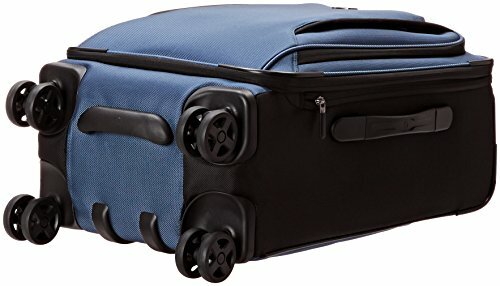 The four dual-caster wheels on this chain-zipped carry-on have a soft tread that won’t draw undue attention when rolled across hard surfaces. The construct is virgin polycarbonate, which has the distinction of being both break-proof and scratch-resistant. This upgraded Spectra Global model is just a fraction smaller than its predecessor, and also features a laptop compartment with a capacity of 15.6 inches. If you’re looking for a suitcase that allows you quick access to your belongings while on the go, then this could be the choice for you. This is a soft-sided option, measuring 32 inches tall by 22 inches wide, with a 22-inch depth that can be extended an additional inch or so when packed to capacity. It also features four single-cast wheels that give it an impressive degree of mobility, even in tight quarters. Both the roomy interior and the convenient front pocket feature high-quality chain zippers. Note that the Avolve is too large to qualify as a carry-on, but it’s still a decent option if roominess ranks high on your hit parade. 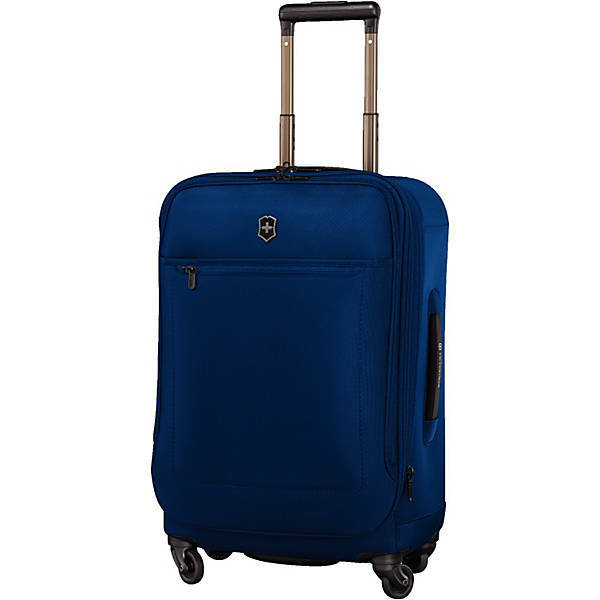 The Werks Traveler is another soft-sided suitcase, this one with four impressively designed dual-caster wheels that would be at home in a myriad of environments. 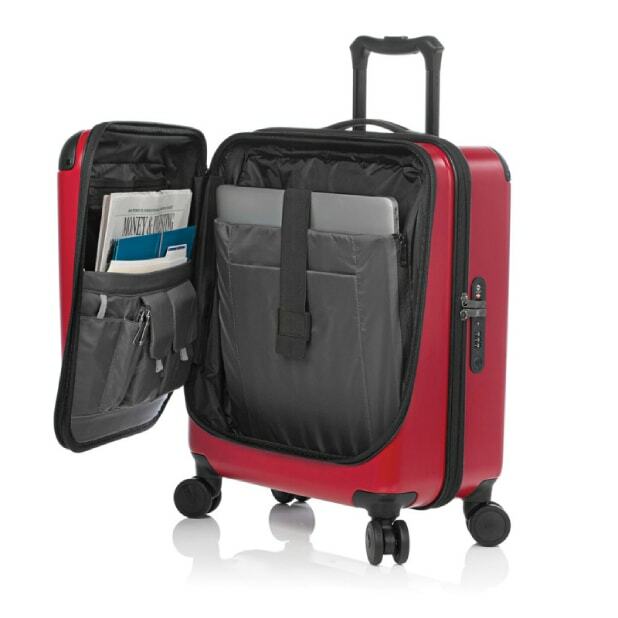 The U-shaped front pocket and built-in divider add convenience and flexibility, and the dimensions (22 inches tall by 14 inches wide, with a 9-inch depth) are compact enough for light packing, yet roomy enough for the essentials. A telescoping handle and quality chain zipper network round out the benefits of this carry-on. The Etherius isn’t quite as large as the Avolve (it measures 29.5 inches tall by 18.5 inches wide, with a maximum depth of 12.2 inches), but its zipper offers an extension option for those who need extra space. This is a hard-sided option, constructed of 100 percent polycarbonate, with four high-quality single-cast wheels for maneuverability. This suitcase can be recommended for its sleek design and durable construction alone, but the fact that it’s expandable—a rarity in hard-sided models—puts it over the top. All of the models listed above are worth a look—your final decision should depend upon which suitcase will best fit your individual needs. After all, every traveler is as unique as the journey, and your choice of luggage should reflect that in the best way possible. Best of luck, and bon voyage! This entry was posted in Luggage For, Travel.